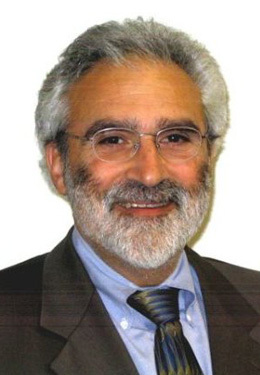 Howard Beckman, MD practiced internal medicine/geriatrics part-time from 1979 to 2014. During that time he conducted and published communication research while he served as a chief of medicine/Program Director, IPA Medical Director, Director of Innovative Strategies for the Finger Lakes Health Systems Agency. He is now Chief Medical Officer for EagleDream Health. “The fundamental principles of the Physician Charter are the primacy of patient welfare, patient autonomy and social justice. While I wholeheartedly agree with these principles, as my career evolved, I felt that ‘professionalism’ was used to justify asking me to sacrifice the quality of my life in service of others. To me, that seems an unnecessary contradiction. The principles of professionalism should enhance the quality of my life as well as those whom I am serving. As I reflected on my experience of how professionalism was framed, I found that the examples used to demonstrate professionalism often involve scenarios in which the physician is called upon to sacrifice his or her personal needs in service of patients; such as staying late to address an important unmet need while missing time with family, accepting a patient family/decision with which one disagrees, or giving time to advocate for those in need of denied services. While sometimes this is the case, in my experience, acting professionally has often improved the quality and meaning of my life. One of the most memorable incidents where being professional enriched my life, while at the same time promoting a patient’s welfare, occurred late one Thursday afternoon in 1986. I was supervising medical residents in our university teaching practice in Detroit and I got a call from one of the cardiology residents. When offered the chance, our resident team that day said they were too busy to squeeze in another patient. Not wanting an elderly woman to have to return the following day, or worse, get lost to follow up, I agreed to see her. About 45 minutes later, I noticed that the practice waiting room had become very quiet – quiet enough to be noticeable. I went out near the waiting area. Folks were looking at our ‘new patient’ with a type of awe that I’d not really seen before. She was sitting quietly and as her name was called to come back to see me, she rose with an air of confidence and grace. Slowly, people stood up to shake her hand, wish her well or thank her for what she has meant to Detroit and the nation. That was my first introduction to Rosa Parks. For the next three years I had the amazing opportunity to serve as Ms. Parks’ physician. Each time she came for a visit, the experience was the same. The waiting room became quiet, and then slowly, folks began to talk with her. The respect offered to her was so palpable. Somehow, patients, staff and residents felt her strength and her courage. I certainly could. Actually, as I read more about her life, I came to understand that Ms. Parks’ decision that eventful December 1st day in 1955 was anything but spontaneous. In her book, Quiet Strength, Ms. Parks said, ‘Our mistreatment was just not right, and I was tired of it. I kept thinking about my mother and my grandparents, and how strong they were. I knew there was a possibility of being mistreated, but an opportunity was being given to me to do what I had asked of others.’ She had decided to take a stand: one that she knew might cause her considerable harm and would change her life forever.